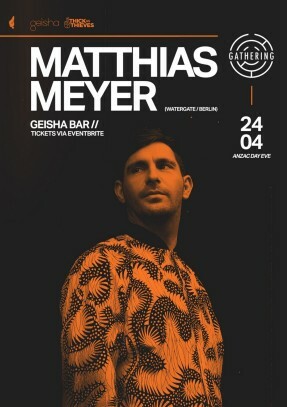 Watergate resident and Gathering favourite Matthias Meyer makes his long-awaited return to Perth this Anzac Day Eve at Geisha Bar. We couldn’t be happier to be hosting such an esteemed artist once again. If his last visit was anything to go by we’re going to be in for a treat.